It was autumn, 1889, and more than the windmill was stirring on Wimbledon Common. Football was all the rage. There was already the Wimbledon Association side at the bottom of the hill. Now the lads at the top decided it was time to form a club of their own. These were former pupils from the Old Central School in Camp Road. It was the principal elementary school in the village, but, like the Wimbledon Football Club of today, it had such humble beginnings. 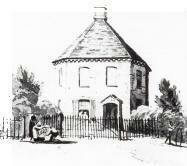 It was a school built for the poor kids; a charitable concern that began life back in 1758 as The Round School. William Wilberforce was among its first trustees. In the early 19th century it became the Old Central School and it was that title that the footballers at the top of the hill decided to adopt. And so, 100 years ago, Old Centrals were born. The game of football had gone through monumental changes in a very short period of time. Just 20 odd years before Old Centrals were formed, for instance, Blackheath had to introduce a rule that went something along the lines of: 'throttling an opponent should not be considered a fair practice.' The early game involved entire towns, the object being for one group to ferry the ball from one side of the village to a fixed point at the other. One 'goal' settled it, but no score draws were the norm generally grinding to a halt when it got too dark to see. Rules were scarce in those crazy days of the mid-1800s. The ball (and any opponent who happened to get in the way) could be carried, kicked or thrown. Forget bruised shins; bites were a more common injury. Stabbings, amongst the large crowds of on­lookers, were not unheard of. Amongst the players, however, it was a totally different matter. It was against this grisly backdrop that the game developed. But fixed rules were beginning to creep in as police tried to stamp out the violence and in 1863 - just one year after Blackheath put their foot down on the 'throttle', the Football Association was formed. The first FA Cup final followed in 1872 - contested, as it would be for the next 20 years, at the nearby Kennington Oval and the Surrey Football Association was duly formed some five years later. This, then was how the local football scene had progressed when the Old Centrals took the field for the first time on November 2,1889. Westminster provided the very first opposition; the venue: The Common, by Robin Hood Road. And the result? A one nil win for the Dons. "An exciting game," trumpeted the local paper, the Surrey Independent and Mid Surrey Gazette, the following weekend. Wimbledon's next match report in the Independent was a little more forthcoming. Belmore had provided the opposition on November 30, and the Old Centrals triumphed this time 2-1. "An exciting game," it said, again, with the following tribute: "Messrs. G. Rayment, E. Anstee and S. Watts played ex­tremely well for the winners." Rayment was the club's first skipper, with F. Preston elected his vice captain. It was this pair who led the first Dons onto the park, already kitted out in their famous navy blue and white colours. This page has been visited 2878 times.